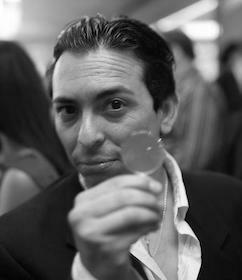 His blog, BrianSolis.com, is consistently ranked in the Top 10 of the Ad Age Power 150, and ranks among the top 1% of all blogs tracked by Technorati. Brian was named an “influential leader” by CRM Magazine in 2010, and also named one of “Silicon Valley’s 40 Under 40” in 2008. He is regularly quoted by media outlets such as The New York Times, The Guardian, and The Wall Street Journal, and has nearly 200,000 followers on Twitter. As an author, Brian actively contributes to Fast Company, Businessweek, Ad Age, Harvard Business Review, and Mashable. Brian’s new book, What’s the Future of Business? (WTF), explores the landscape of connected consumerism and how business and customer relationships unfold and flourish in four distinct Moments of Truth. His previous book, The End of Business as Usual, explores the emergence of Generation-C, a new generation of connected customers and employees, and illustrates how businesses must adapt to reach them. Brian is also the author of Engage!, regarded as the industry’s go-to playbook for marketing, sales and service in the social web, and Putting the Public in Public Relations, one of the first books written to address the intersection of public relations and social media, in 2009.